Can Lynda Hopkins bust up the West County boys' club? Hunter S. Thompson, the mad genius of gonzo journalism, saw fear and loathing in Las Vegas, Miami, Washington, D.C., and San Francisco. He also recognized it at the Kentucky Derby and in the horse race known as electoral politics, especially in the race for the White House, but on the local level as well. This spring, he'd probably notice much the same phenomenon around the country and in the 5th District in Sonoma County, where two women candidates face off against one another furiously, while undecided voters smile politely and say, "Have a nice day." With steep mountains, lush valleys, a rugged coastline, the meandering Russian River, plus vineyards, wineries, marijuana gardens and award-winning restaurants, the 5th offers a rich cultural mix to locals and tourists who come year-round and who have made it a popular destination. The 5th is also a complex political landscape with fierce loyalties and deep-seated rivalries that, insiders say, offers a glimpse into the new profile of the California electorate and the decisive role that millennials and Mexican-Americans will likely play in selecting office holders and defining issues and solutions. Efren Carrillo, the incumbent, currently represents the district on the Sonoma County Board of Supervisors that does double duty as the board of directors of the Sonoma County Water Agency, which has increased responsibilities for conservation in a time of drought. Arrested twice in the last five years and dragged through the mud in the media, Carrillo has chosen not to run for reelection and risk further embarrassment and injury to his image. In 2012, he was arrested at a nightclub in San Diego and charged with battery and disturbing the peace. In 2013, police officers took him into custody in Santa Rosa and charged him with burglary and prowling while under the influence of alcohol. What's at stake in the race for Carrillo's replacement isn't only the political future of the 5th, but also the direction of Sonoma County and, one might say, its very identity. The two leading candidates, Noreen Evans and Lynda Hopkins, offer alternative visions and approaches, in much the same way that those two Democrats, Bernie Sanders and Hillary Clinton, offer alternative visions and approaches on the national level, though it's probably not fair to compare Noreen and Lynda to Hillary and Bernie. 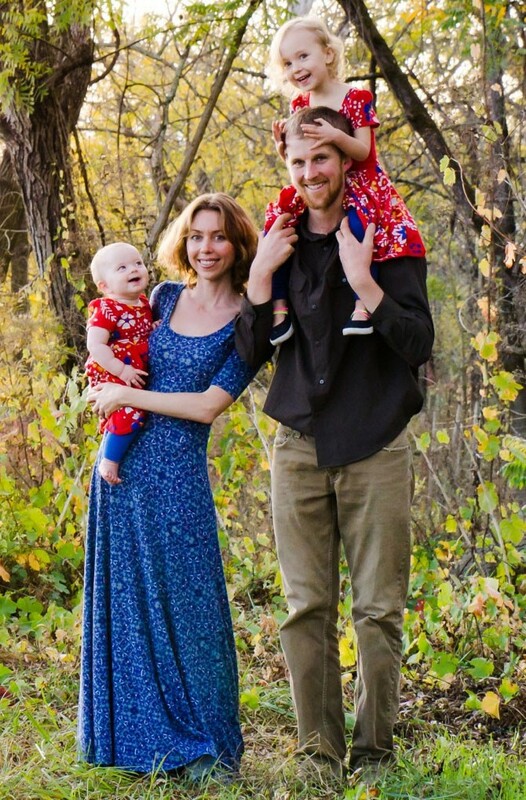 The representative from the 5th will be the swing vote on the five-member board and in a position to shape matters that affect water, land use, housing and more. On the surface, the 5th might not seem ripe for "fear and loathing," a term which could be translated as "the dark side." 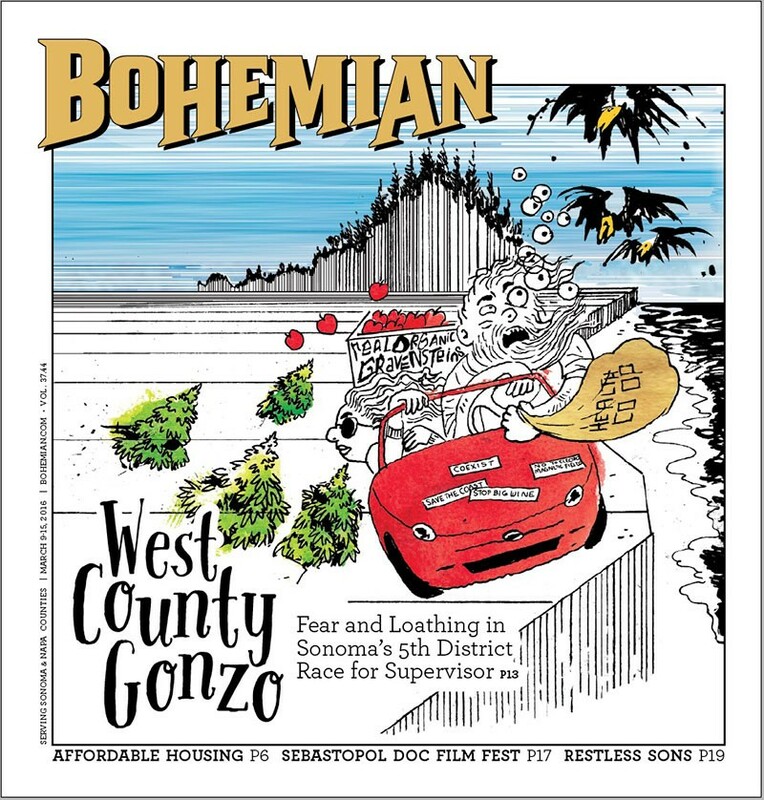 Still, staff members in county offices, and veteran political pundits such as Sonoma State University professor David McCuan, say the 5th is indeed Thompson territory and that his brand of gonzo journalism is sorely needed today. "Hunter was about honesty with oneself and one's psyche," McCuan says from his office on campus. "He was also about taking risks and challenging the status quo, with the potential to flame out in a blaze of glory." Indeed, he put a gun to his head and took his own life at the age of 67. Forty-three years after he published Fear and Loathing on the Campaign Trail '72—the book in which he dissects Richard Nixon, George McGovern and Edward Kennedy—Thompson sounds spot on. In fact, he might have been talking about 2016, not 1972, when he observed that "Covering a presidential campaign is not a hell of a lot different from an assignment to cover a newly elected district attorney. You find unexpected friends on both sides, and in order to protect them you wind up knowing a lot of things you can't print, or which you can only say without hinting where they come from." Frank Robertson knows what Thompson means. A longtime journalist who has written insightfully about West County politics for more than three decades, Robertson says that politicians and their aides often insist that their comments are off the record, though, as he points out, "off the record is a movable definition." Part of the story of almost any campaign is the invisible side that's rarely if ever covered in the media. Indeed, politicians and reporters, for different reasons, collude with one another and keep vital information from the public. "Sad but true," a veteran editor who has worked for Esquire, Life and Bloomberg News told me. Reporters, especially those with a beat at a daily paper, tell me they're bound by the rules of newsgathering and can't disclose their sources or reveal information because it's protected under the rubric of confidentiality. What made much of Thompson's reporting so compelling was that he stretched the rules. Robertson does, too, in his own way, and he's kept his job for decades.